Last week, I attended SDC 2018, Samsung’s sixth annual Developer Conference, in San Francisco, along with 5,000 other attendees. 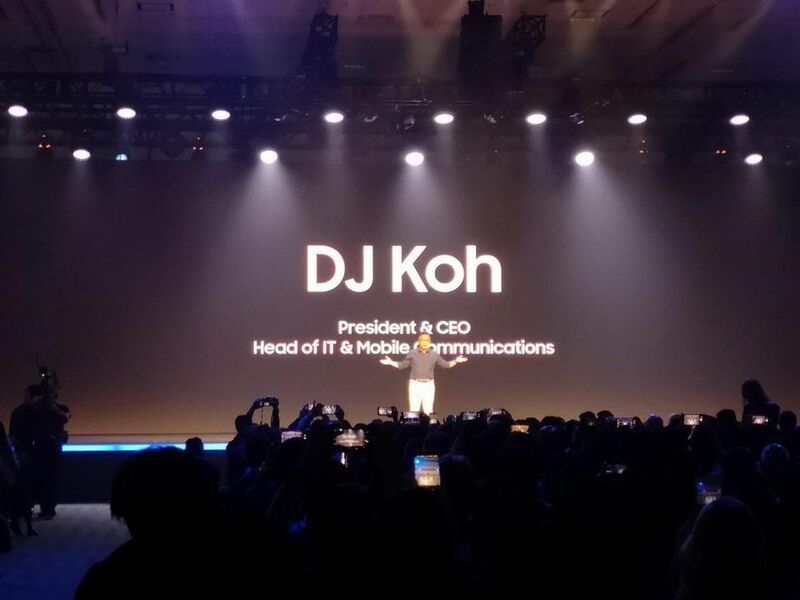 The event was a great chance to catch a glimpse of the technology that will power the coming generations of Samsung devices and services, and the company did not disappoint. SDC is a must-attend for anyone who closely follows the electronics giant and for developers who want access to future home IoT, mobile, and automotive markets. While Samsung wasn’t the first mover with IoT or mobile software developers, Samsung commands developer respect and attention because developers know it manufactures 500 million consumer devices annually that are currently or will be “smart and connected.” I could conservatively extend this over three to five years to 1.5B to 2.5B devices. To understand this completely, one needs to understand that Samsung doesn’t just build smartphones. Samsung builds smartphones, tablets, watches, home appliances (washers, dryers, dishwashers, refrigerators, ACs, vacuums), TVs, speakers, and Harman automotive technologies. Today I wanted to give a rundown on the announcements that came me out of the event, and provide my take on them. Samsung says it’s all in on AI and is putting its money where its mouth is with a gigantic $22 billion investment. One of the big announcements of the event was that Samsung is opening up Bixby to developers—and you better believe that is huge for the future 1.5 to 2.5B consumer devices. Bixby is far from perfect right now, but, quite frankly, it doesn’t have to be right now for long-term success. Bixby does need a steep ramp of improved capabilities across a wider variety of products. Enter Bixby Developer Studio. 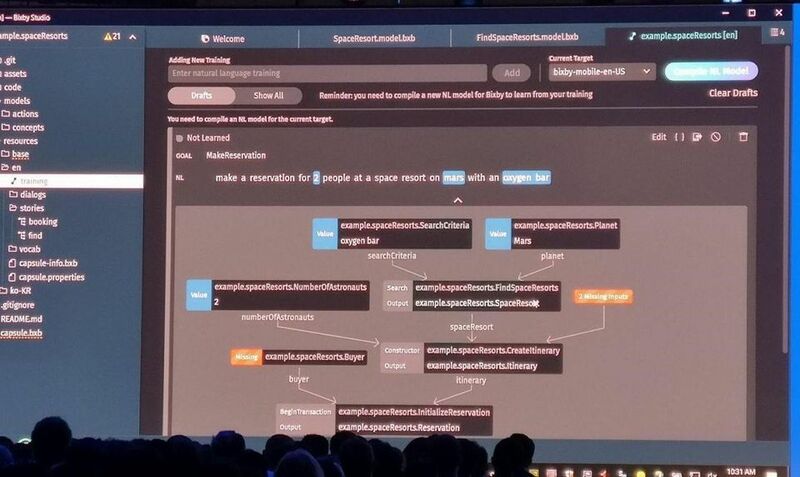 Samsung announced the Bixby Developer Studio, which it says is a collection of tools geared towards enabling developers and partners to imbue their products and services with AI. Using the tools, developers can create “Bixby Capsules,” which are essentially Bixby features or services, and put them up on the Bixby Marketplace. Capsules are also an easy way for developers create an app that builds code on the fly (Dynamic Program Generation) with a simple GUI. Developers can then edit capsule code in a CLI for optimization and tweaks. My take? First off, Bixby is morphing from a product feature to a platform. The Developer Studio is a one-stop shop for developers with the aim to make it easy for anyone who has a service work with Bixby. While Bixby isn’t considered the leading intelligent agent right now (it doesn’t have to be), I am enthused with Samsung’s first big developer push as the company learned a lot from companies before it and looks like it is making it easier for developers. The notion of using AI to program AI apps is new and different and cutting edge. Time will tell the degree of success, but I like what I see with ease of use of the tools and the consumer Marketplace and given all the potential to invest into access to all those future 1.5 to 2.5B Samsung devices, there’s real potential developer value here. 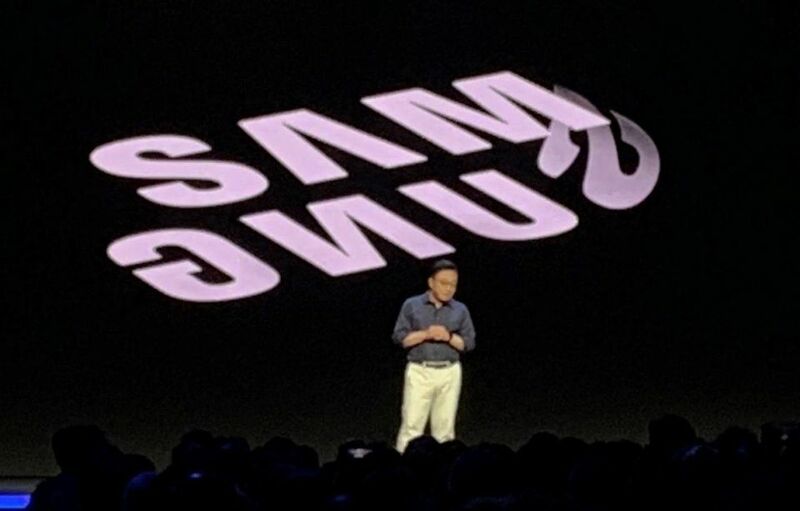 If you’ve been paying any attention to the coverage of SDC, you’ve probably noticed that most headlines are heralding Samsung’s new “foldable” phone display. Samsung’s new Infinity Flex Display promises users devices like smartphones that can fold out into a larger display, capable of running as many as three active apps at a time. Few are debating if foldable or rollable mobile displays are the future of smartphones—the only question is when and by whom. Samsung is the unit market share leader in mobile OLED displays and smartphones so one would expect Samsung to be first at scale. The core benefit of a foldable smartphone is simple- the user can have the benefit of a larger display but can still fit it into their pocket, coat or purse. Some are debating if a foldable display will ever be valuable, which, to me, is affable. I can see foldable or rollable displays translating into some great use cases where bigger is better—watching a movie, reading a book, playing a game, just to name a few. In addition, this foldable screen and the 3 app functionality will enable limitless opportunities to multi-task—looking at your calendar while writing an email, doing web research while writing a note, watching live sports while tweeting, dropping images into social media posts. The list could go on, just use your imagination. Throw in a portable keyboard, and the possibilities only expand. I could totally see carrying a foldable device with a portable keyboard around CES or MWC. For this foldable display to scale between smartphone and tablet, Samsung needed a new user interface. Enter “One UI”. This new user interface allows devices to scale between the smaller and larger displays in an intelligent manner. Most of the content viewing occurs at the top of the screen, while most of the interaction takes place at the bottom, closer to your fingers. 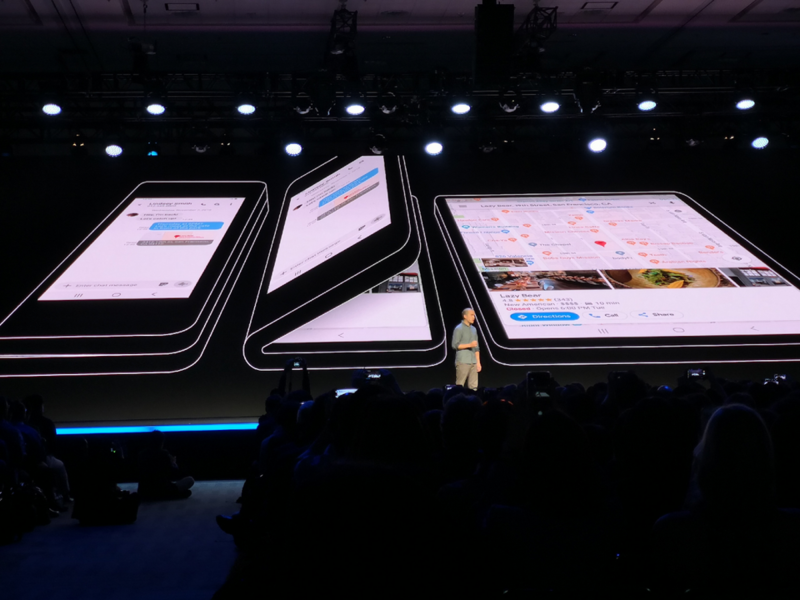 Samsung says this fact reduces clutter and makes it easier and more natural to use while scrolling with one hand. Trying to improve the experience for “one-hand” phone users is a smart move if you ask me—that’s how a lot of us already use our smartphones. I believe the combination of Samsung’s Infinity Flex Display and One UI will give Samsung a competitive product advantage and also help its brand—which will also help sell all the less premium devices in the stack. I am under no false impression that devices using Infinity Flex Display will be easy to optimize. I manufactured products for over 20 years and this is not easy. Any manufacturer who uses the display, including Samsung, needs to test the devices, a lot. When you add another display, and you make the device foldable, you are running up against opposing forces of thickness, bezel size, weight and battery life that could turn the vision of a space-age device into a not-so-great experience. Samsung has led in many “firsts” like large display smartphones, and I am hoping it will carefully wade into this market. Samsung needs to focus on perfecting a few killer use cases when a product hits the market. 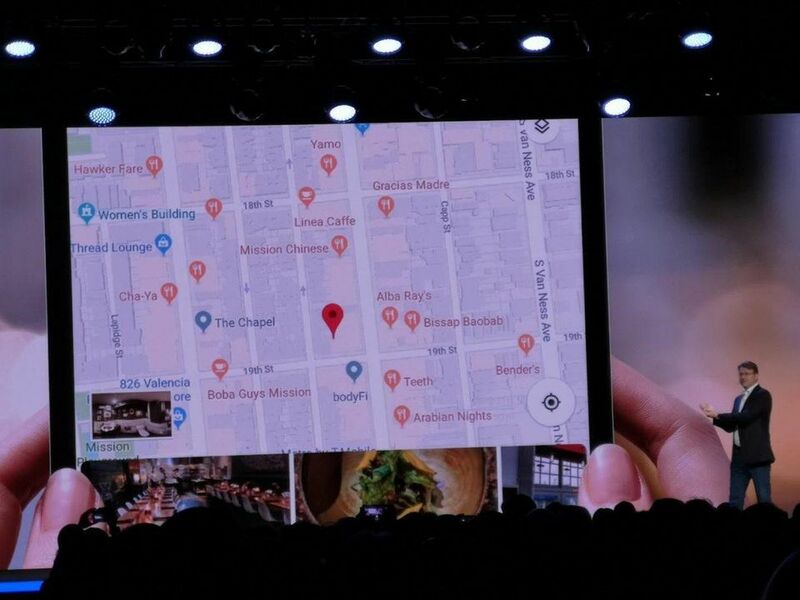 The last area of announcements centered around SmartThings, Samsung’s platform for the connected smart home. Samsung says the SmartThings ecosystem size has doubled in the last year, and the company is now seeking to accelerate growth even faster with a redesign of the SmartThings Developer Workspace. Geared towards making it easier for developers to integrate their devices and services with the SmartThings platform, the workspace includes new features such as the SmartThings Cloud Connector, SmartThings Device Kit, and SmartThings Hub Connector—all of which do exactly what their names imply. These SmartThings updates were similar in purpose to the Bixby announcements. The long and short of it is that Samsung now has an end to end consumer IoT ecosystem that competes with Amazon, Google, and Apple. The ecosystem includes first-party and third-party devices, hubs, and SDKs for connectivity, cloud services, and hardware dev kits. Samsung has some vicious competition in the consumer IoT platform space, but its advantages are its scale and scope of its first-party products and its ability to integrate a SmartThings Hub inside every large, plugged-in Samsung device, like a TV or refrigerator. One thing many people overlook is that Samsung doesn’t necessarily have to have the “best” or “first” intelligent IoT ecosystem—it just needs to be good enough to satisfy its broad range of built-in customers. All in all, I believe the news from SDC 2018 demonstrated Samsung’s commitment to expanding its intelligent, smart home ecosystem. Opening up Bixby and giving developers more tools for its SmartThings platform should only accelerate this growth. With its annual production rate of 500 million, smart (or soon to be smart) consumer devices, there is massive potential for value in letting more developers in. In the mobile realm, the new UI and Infinity Flex Display gave industry analysts and journalists alike some awesome red meat to chew on and get excited about. Samsung is doing good things here and absolutely moved the developer ball down the field.